Stylish and elegant, Dragon is one of the most successful charter yachts that offers comfort, performance and luxury for an ideal charter experience. She is one of the only yachts in her size with six cabins. 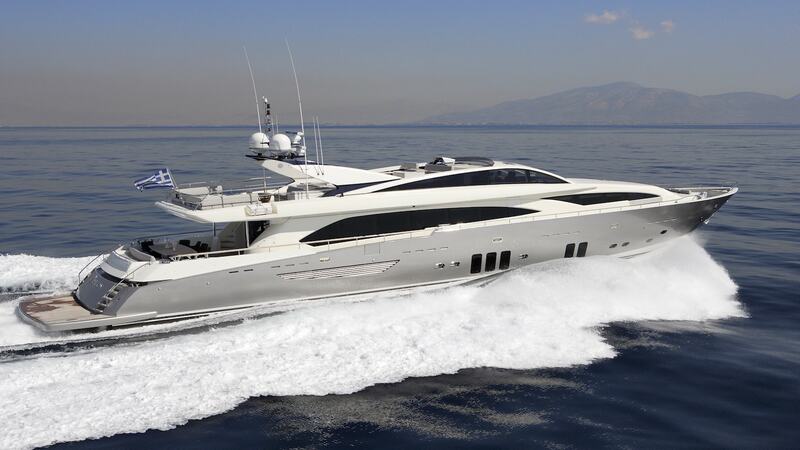 Her flybridge is a favorite space on board with a bar and ample lounge spaces with sunbeds. She also has an array of al fresco dining options. A large swim platform is suitable for guests who are looking for toy action on the water. Please complete the form below to send us an Email and we will respond to your inquiry shortly.